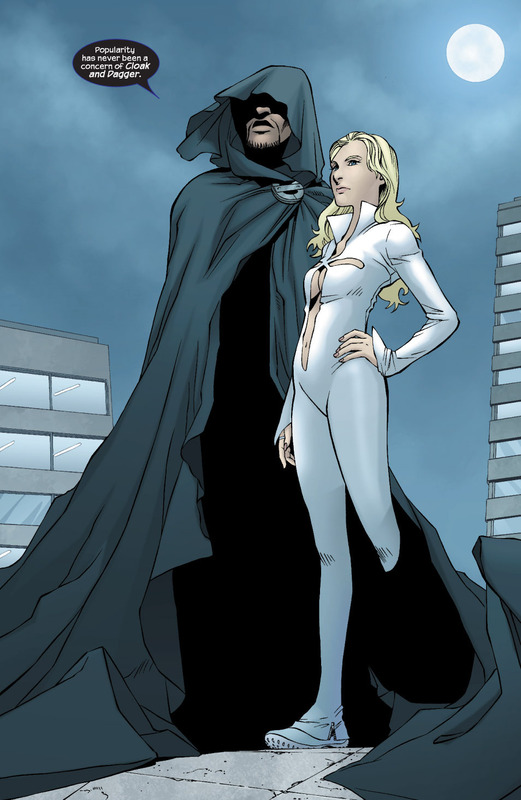 I have been a fan of Cloak & Dagger in the comic books since I first read about them in the 80’s. Not because they had a great powerset or even that the writing was all that good back then. It was that Marvel was doing something in the comics that was still kind of taboo at that time…an interracial relationship. As all relationships go, Cloak and Dagger have had their ups and downs, but throughout the years, have stayed committed to each other as partners and sometimes as lovers. 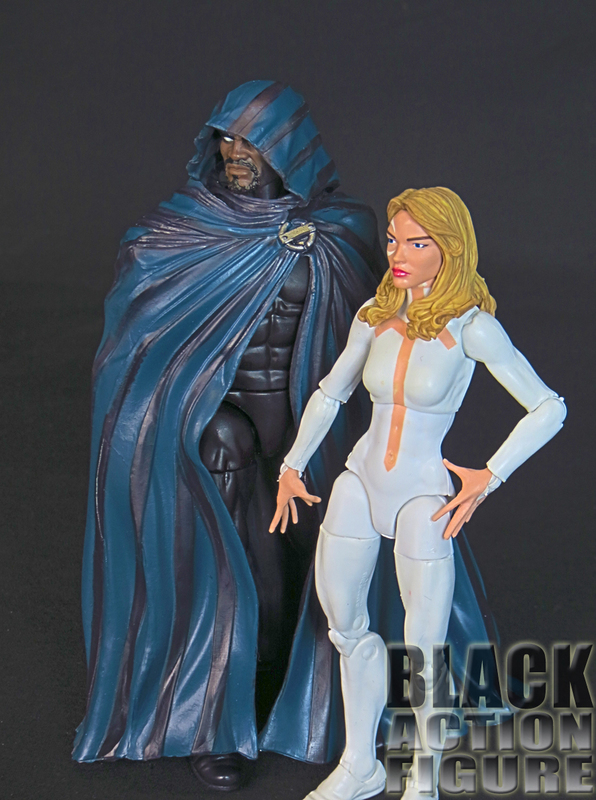 It’s almost well known in the Marvel-verse that you almost always can’t have Cloak without Dagger tagging along. Their powers are symbiotic of each other, allowing them to need each other in order to exist. You can’t even play them in a video game separate of each other. They are almost one entity. Proving once again that you can’t have Cloak without Dagger, they share the exact same packaging…of course limiting costs for Hasbro. Not sure if this is a genius move or just lazy as hell. What it does is cause false hope…I’ve been to at least three stores where I thought I was about to luck into a Cloak figure because of the packaging until I pull the figure off of the peg and find that it is once again another Dagger figure. 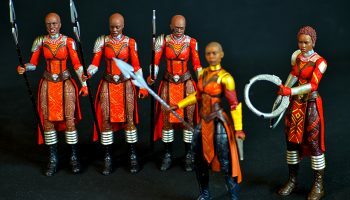 My question is, both of these figures come one per box, so who the hell is buying up all of these Cloak figures and leaving Dagger on the peg? If you take one, might as well take both. Nothing particularly interesting about the packaging. Build the alternate universe spider-robot SP//dr. Yay. 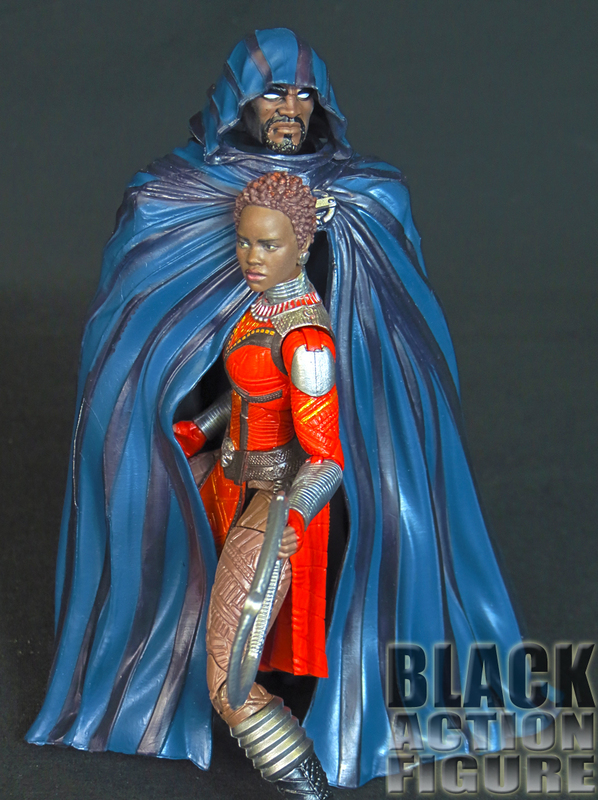 Let me just say that I haven’t completed a Build-A-Figure since Okoye from last year. 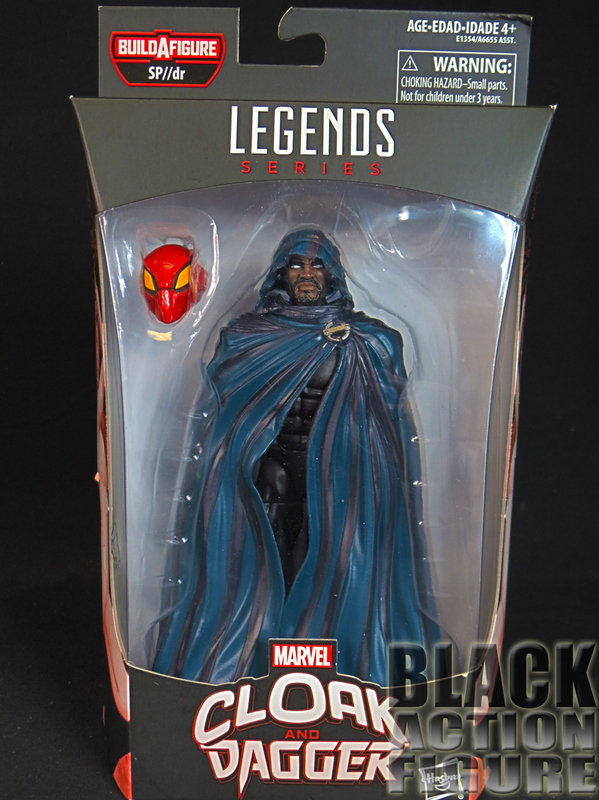 This is a tough one…Cloak’s powers are accessed through his…cloak. So really, the only accessory would be his cloak, right? So instead of Hasbro making a cloth cloak with poseable wire inside, they made the cloak a solid plastic. The idea is that you can take the head and cloak off the main body, and sit the head on top of the standing cloak. This in term makes it look like a complete Cloak figure with a void on the inside. 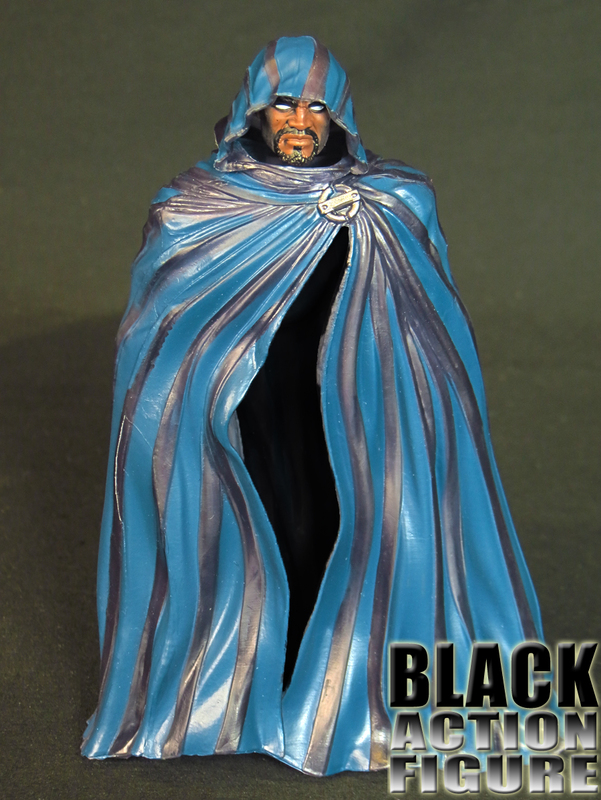 To take it a step further, you can have a figure stepping out of Cloak as well, simulating his teleportation powers. Okay, it’s an interesting idea and concept which works okay some of the time (granted you don’t knock the head off trying to get it all to work and look correctly.) But honestly, I really don’t know what else they could have done. So this is probably the best possible outcome of this figure. It does look cool to have a figure coming out from inside of him…if you can stop cacklin’ like a schoolgirl over the thought of that. And the obvious joke about inside every Black man is a White woman waiting to come out, or something like that. Grow up. It’s comic book stuff. You can stop laughing now. 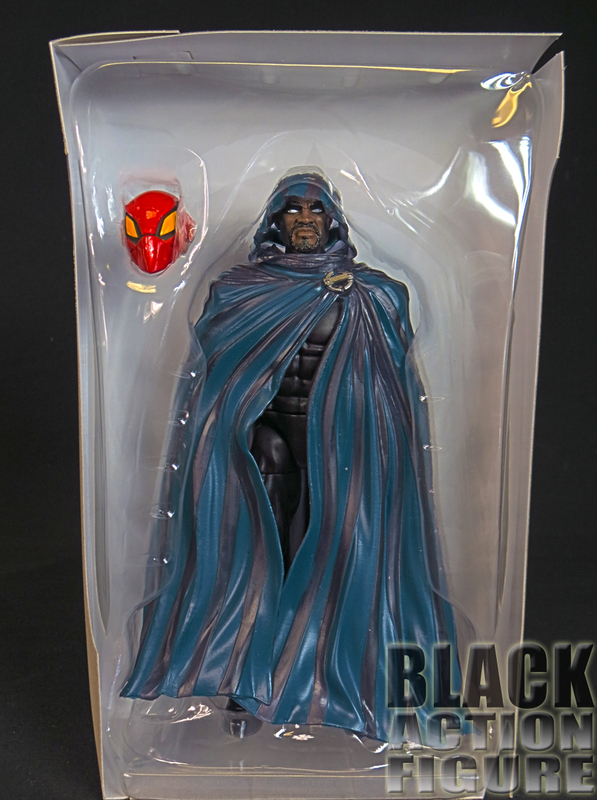 There’s actually not much to the Cloak figure…the cloak itself is comic accurate. The face sculpt is excellent. I love the “no pupils”-eye look…portrays a person of power. The goatee is on point and nicely sculpted. 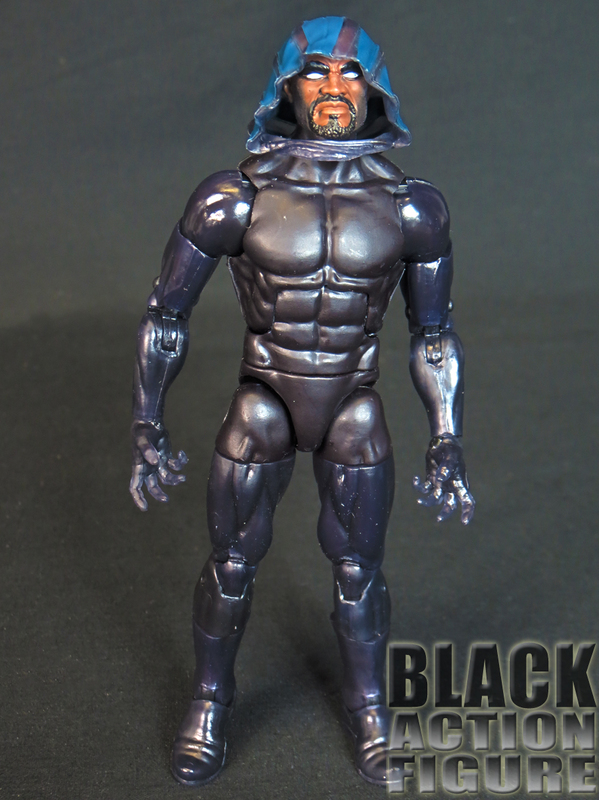 It looks like the majority of the paint work went on the figure’s head and cloak. The top part of the cloak does not come off, so we do not see Cloak’s whole head under it, just what we see of the face. 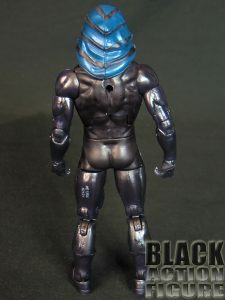 The body is mostly a black plastic, except the hands which are partially molded with a translucent purple plastic. With the Cloak on, I can’t complain. I actually really like the ominous look of the cloak and posing him just standing on the edge of the table looking off to the side really captures the essence of Cloak. without the cloak, there is no point to the figure. I’ll just leave that picture up there. Yes, there are no guidelines from the articulation points to the figure. 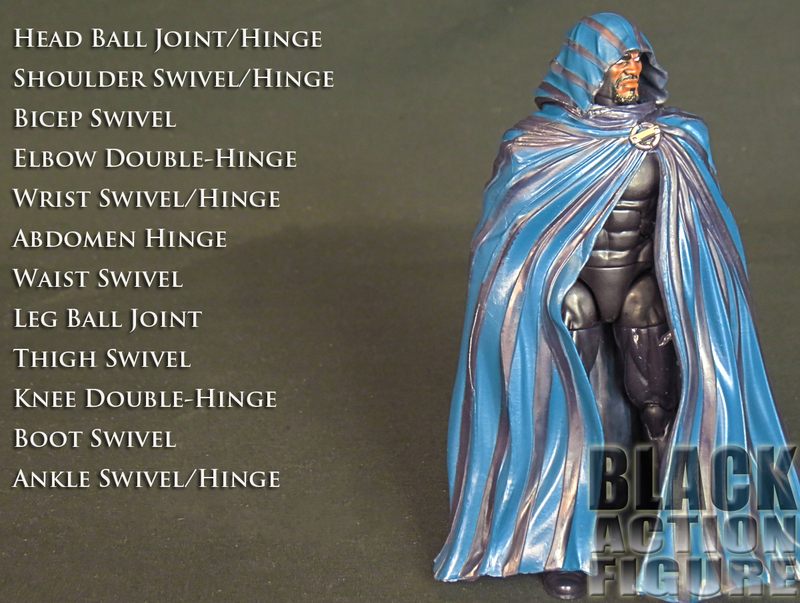 That’s because not only does the cloak hide the body, it also prevents most of the articulation. 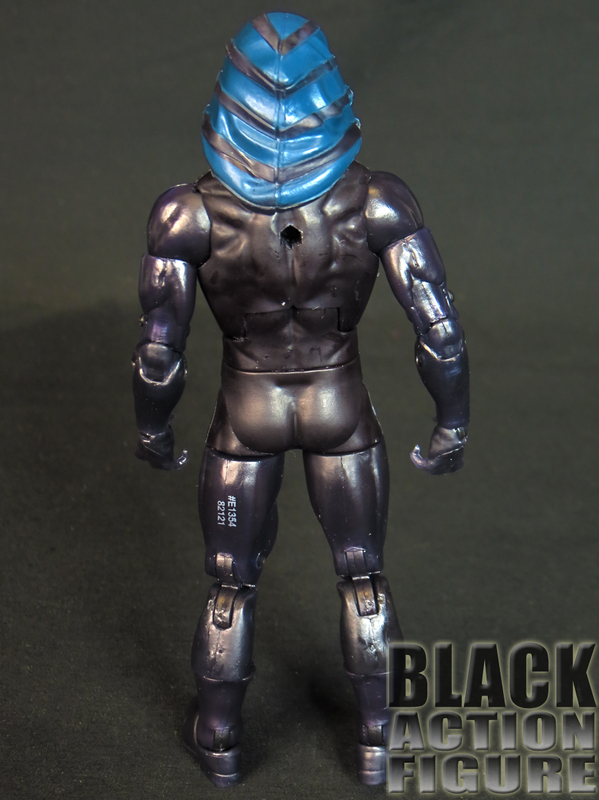 Sure, you can pose the figure on the inside, but it will be nulled out by the stiff plastic cloak itself. The most you can hope to do is have the arm sticking out. So I’m conflicted…yes, the figure has over 30 points of articulation. No, you can’t use 90% of those articulated points. I’m going to have to drop the score to reflect that. Somewhat average score aside, I really love this figure. It may be because I am a pretty huge Cloak fan (okay, Cloak and Dagger, but mostly Cloak). 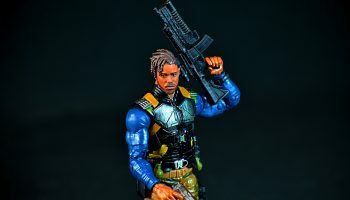 This figure is actually one of my more wanted figures and definitely is a step up from both the Hasbro Marvel Universe version and the Diamond Marvel Select version. 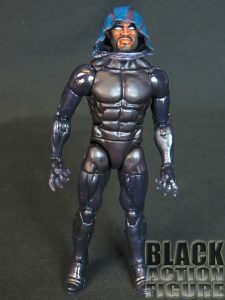 I pray that Hasbro continues to support the addition of Marvel’s Black characters into their already diverse line-up. It seems that they continue to get better with each iteration. I hope with the Toy Fair coming this weekend, we see even more. 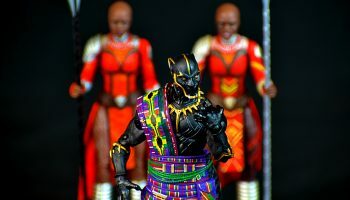 My wish list includes an updated comic-version Falcon, a comic-version Luke Cage, and a Blue Marvel figure join my growing collection of Black Marvel superheroes.